Wild Dunes Resort offers a low-key beach lifestyle in beautiful comfort. 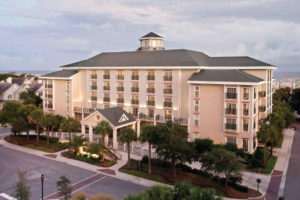 The conference and guest rooms are all within walking distance on the resort property. Guest rooms are available for $189 per night plus taxes and fees. That’ll include complimentary internet access and self and valet parking. This rate is guaranteed until October 4th. Tell the agent you are with the Digital Wrap Conference. The Digital Wrap Conference does not use any services that will call you about your room reservation. Be highly suspicious of any calls you receive about someone helping you with your room reservation – they might be trying to get your credit card information.